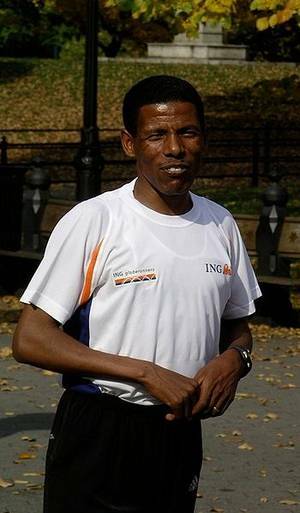 Haile Gebrselassie is an long distance track and road running athlete. Gebrselassie achieved major competition wins at distances between 1500 metres 5000 metres 10000 metres Half Marathon and the marathon, moving from outdoor, indoor and cross country to road running in the latter part of his career. He held the Masters 10000 metres World Record in 26:51.20 (2008). He has broken 25 world records and won numerous Olympics Games and World Championship titles, and is one of the greatest runners in history.